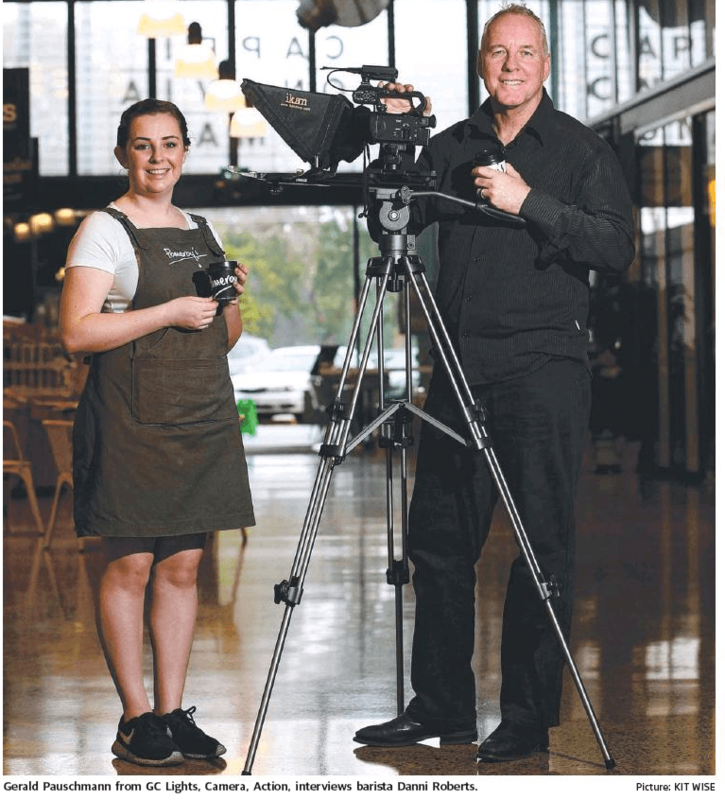 Last week I was interviewed by the Gold Coast Bulletin about how GC Lights Camera Action will help showcase all those hidden gems when our visitors hit our shores during the 2018 Commonwealth Games. It is your opportunity to invite us to your 'hidden gem' so you can showcase your business to THE WORLD. Imagine every visitor who hits our shores in the lead up to the 2018 Commonwealth Games looks out to a sea of gold t'shirts, EVERY person who dons a gold T'shirt has earned the credentials to become a Gold Coast ambassador and when approached by our commonwealth neighbours for a 'What to do on the Coast' the response will go far beyond visiting the theme parks and grand shopping centres. It will be what is nearby these icons that hold the key to a favourite local cafe, restaurant bar or community hangout. Friendly by name, friendly by nature, thats the motto professional speaker Gerald Pauschmann wants to instil on the Gold Coast through the FRIENDLINESS PROGRAM expected to be rolled out in the next few weeks. The concept is designed to generate excitement and inspire the promotion of the Commonwealth Games. Mr. Pauschmann will visit loca small businesses, people and landmarks across the coast and record short commercial style commercial videos which will then be uploaded to Facebook and YouTube for locals and visitors from across the world to ​view. "It's all about the Gold Coasts focus and getting people to experience what we think is more than just heading out to the theme parks, but about the little hidden secrets around the coast" he said. Would you like to have your cafe, boutique store, restaurant, barber shop get worldwide exposure 500 hundred days prior to the 2018 Commonwealth Games and beyond? Advertising for this event could cost you thousands, but for as little as $350 your business could be splashed across the social media pages in Canada, the UK even Jamaica and India just to name a few. ...and don't worry if you don't own one of these businesses, we will get you exposure what ever you do.